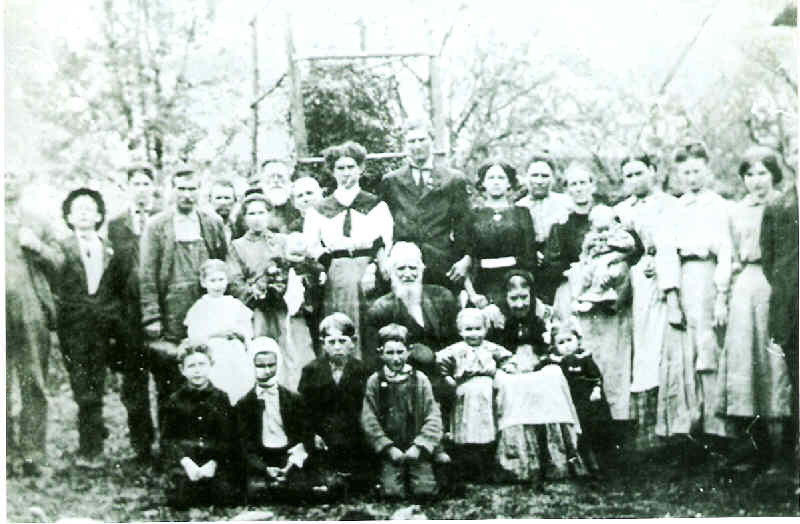 Comments: (Nee: ) | KY | 1901-1920 | Comments: William Raleigh Mings & Martha Baldwin Mings (both seated in center) surrounded by their descendants taken about 1915. Families in photo are: Cox, Mings, Baldwin, Hughes, Stayton, Mann, Burris. Some have been identified but need help with others.